An acidity correction must be applied to refractometric Brix readings of juices. sucrose solutions. We are aware that beverage and syrup contain some dissolved solids other than sucrose, but the soft drinks industry ignores this, as the error in Brix determinations is considered very small. Thus, all dissolved solids are considered, as far as the measurement reading is concerned, as sucrose. In most fruit juices, however, the acidity content in the form of soluble organic acids, such as citric acid, is relatively high enough to considerably affect the refractometer reading as far as the true total dissolved solids content is concerned. In other words, the high soluble acid component of fruit juices refracts light differently to sucrose solutions for which the instrument was calibrated. Therefore, an error will be introduced in the Brix reading obtained. The reading will, in fact, be lower than in reality. For this reason, when measuring the Brix of fruit juices, especially those with high acidity contents, an acidity correction must be added to the reading. Fruit juice processors and technologists over the years established what these acidity corrections are for various acidity levels in juices and have drawn up tables for these corrections. These tables usually regard the acidity component, for convenience sake, as citric acid anhydrous. Appendix 5 gives an example of such a table. When talking of a fruit juice Brix value, it is important to always note whether the value stated is corrected for acidity. If corrected, it is usually written as the Brix value followed by the notation "corrected for acidity." Failure to denote whether a correction was applied can lead to an enormous amount of confusion. Let us see how this is applied in our single-strength lemon juice. A sample of freshly squeezed lemon juice is measured for Brix with a refractometer. The reading is 6.70°B at 20°C. The sample is titrated for acidity, which is found to be 4.6% citric acid anhydrous on a weight-for-weight basis. By consulting the acidity correction tables, we find that the correction to be added to the Brix reading at 4.6% acidity is 0.89. This calculation shows that the true dissolved solids content of the lemon concentrate is just about 34% and not 30% as stated in the commodity's description. 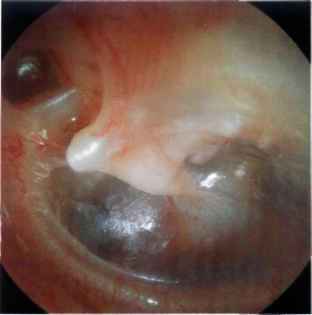 What are the implications of this higher value of Brix corrected for acidity? There are many such implications, most of which mainly relate to the conversion of concentrate from weight to volume and vice versa, from volume to weight. You formulated a new beverage product using Lemon 30 Brix concentrate. In the laboratory, you developed the final formulation to contain 15 kg concentrate in 1000 liters final beverage. Your company plans to sell about 9 million l of this beverage per year. You now have to prepare a bill of materials (BOM) for production and need to convert the 15 kg concentrate into liters for the simple reason that the standard price of the concentrate in your company's accounting system is based on volume, at US$2.00 per liter for the Lemon 30 Brix stock item. (Also, let us say that production finds it more convenient to measure out the concentrate quantity for their batches by volume.) To convert your 15 kg formulation quantity of concentrate to liters, you will need Brix/density tables to find the conversion factor from weight to volume, namely, the D20 (density at 20°C) of the concentrate. I will demonstrate (see Table 7.2) what will happen if you erroneously use the Brix of the concentrate uncorrected for acidity compared to if you use the acidity corrected figure as required. The D20 (2) obtained from the Brix/density tables using the uncorrected Brix is lower than that for the acidity corrected Brix. When converting the 15 kg concentrate to liters, the volume for the uncorrected Brix will be higher (4). The production BOM will have an extra 0.23 l per 1000 liters final beverage (5). At 9 million liters final beverage production per year, this will amount to 2027 liters overusage of Lemon 30 concentrate (7). At a price of US$2.00 per liter, this will amount to a total giveaway of over US$4000 per year (9). The relationship between the annual giveaway in US$ and the annual final beverage production is a nominal one portraying the relative magnitude of monetary loss to the company. If the company's annual production was, for example, 10 times larger, the loss would be over US$40,000 per year. I would hazard a guess that whatever the company's annual production, be it higher or lower than in the example demonstrated, the relative calculated loss would be of significant magnitude for any company. It should be added that the extra liters of lemon concentrate would also impact slightly on the Brix and acidity specification of the final beverage. This impact may be trivial in the example where the lemon concentrate quantity would result in a final beverage with around 6% single-strength lemon juice. If, however, the formulation was for sweetened lemon nectar at around 12% single-strength lemon juice, this impact would be doubled and perhaps become significant. It goes without saying that the annual giveaway would also be doubled to over US$8000 per annum. juice content. In addition to the cost factor, a legal labeling issue is involved. This will be illustrated in a further section of the chapter. At the end of the day, regardless of the implications of not applying the acidity correction, be they trivial or profound, the principle involved is that of scientific correctness. To obtain the true and accurate dissolved solids content in a fruit juice from a refractometric Brix reading, the optical distortion of the reading due to the acid content must be corrected, if only for the sake of scientific precision. 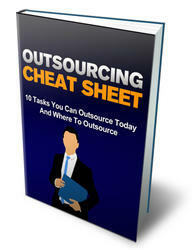 Download this Outsourcing Guide And Discover 10 Tasks You Can Outsource Today. Leverage Your Time And Start Using The Power of Outsourcing. Inside this guide, you'll discover: 10 tasks you can outsource today. Where to outsource your tasks including websites. What to look for when outsourcing. Websites where you can outsource design, writing and programming plus much, much more. Are corrected Brix higher than uncorrected? What is acid corrected brix for orange juice? What is brix in soft drinks? Can brix value include citric acid? What are brix levels of soft drinks? How citric acid affects density brix? How does acid affect brix readings? Does citric acid affect brix?